Home - PlayMark, Inc. - PlayMark, Inc. 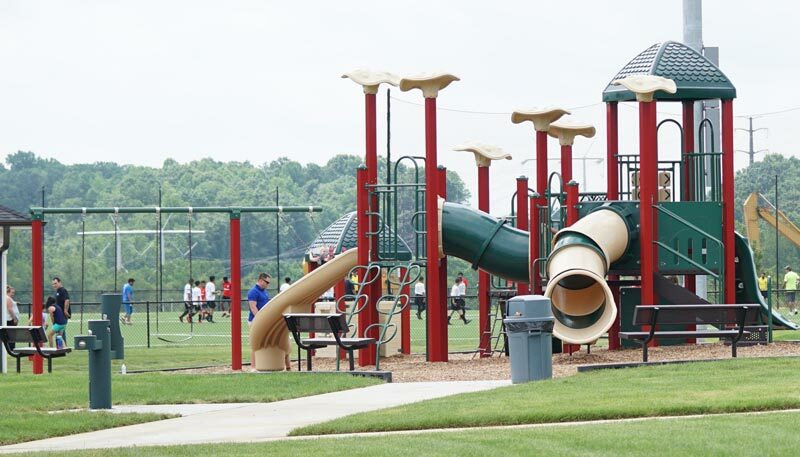 The Owner at Potomac Shores worked with Eagle Play Structures to develop a playground that would serve the local Prince William County residents in the best way possible. This playground includes 2 varieties of slides, over 5 diverse climbing components for different ages & abilities, an overhead loop ladder connecting the two main structures, as well as elevated and ground level activity panels to stimulate the imagination. The playground is next to the concessions building and playing fields where residents are able to use and enjoy. 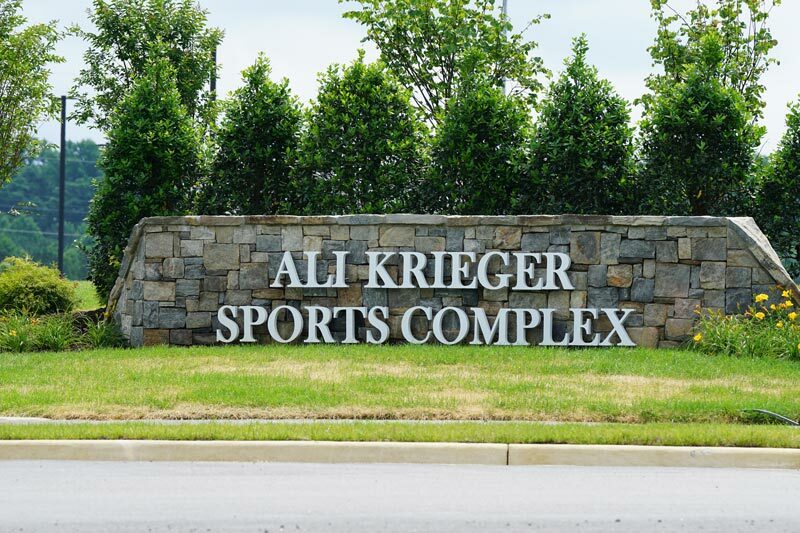 This Park is named Potomac Shores Ali Krieger Park in honor of internationally-renowned soccer star Ali Krieger, a native of Dumfries and a graduate of Forest Park High School. Order your next playground system by April 30th and save!! We are excited to hold their 2018 pricing thru April 30, 2019 - so order now to get 2018 pricing in 2019!